Old Hereford Pics. : Len Weston Stand. 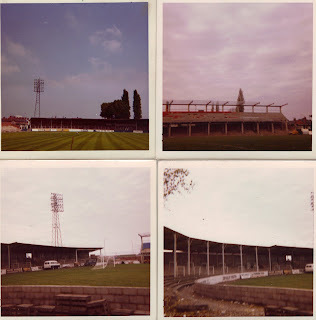 Hereford United"s Edgar Street Stadium in the early 70s.The building of the Len Weston Stand brought all sorts of problems with the A49 only a matter of feet away, but this was overcome with the building of a cantilever stand which still stands there to this day.Also some of the other views here some of which can still be seen today some 35 years later.Also note the old Hereford Baths in one of these pictures. "pictures kindly donated by Mr Wendall Smith"
© 2008 Old Hereford Pics. Watermark theme. Powered by Blogger.